Accepting UPI payments is simple and hassle-free! UPI stands for Unified Payments Interface and is a way to collect payments from your customer's bank account securely and in real-time. This inter-operable payment infrastructure facilitates instant online payments from a smartphone using a Virtual Payment Address (VPA). VPA is a user-generated unique payment identifier, such as abc@bank where 'abc' is chosen by the customer based on availability, and 'bank' is the name of the bank/app where the customer signs up for UPI. VPA is mapped to the customer's bank account without disclosing account numbers or other details. It can also map multiple bank accounts to a single UPI enabled bank app with separate VPAs for each bank account. Users get excited when they discover the difference SRPK makes to their career. I am a recent graduate of B.Tech. in ECE.Now after being unemployed for over two years, I'm scheduled to start my new career job in BSNL. A special thank you to SRPK for helping me get into this job. 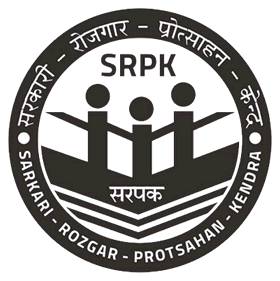 Really great service given by SRPK, I have been pleased with the regular contact and when I have a query, SRPK have always been there to help. 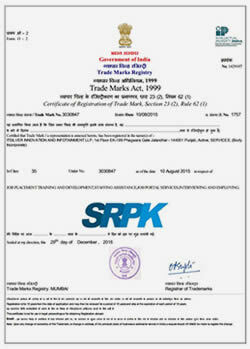 2019 © SRPK™ - An ITSILVER™ Initiative, All Rights Reserved - An ISO 9001:2015 Certified. This Website is fully secured and verified. Transactions on the site are protected with up to 256-bit Secure Sockets Layer encryption.